There's a new tech tenant in the Park Avenue submarket. Click here to read the article on The Real Deal. 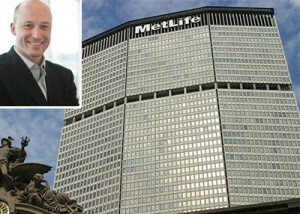 Marketing technology company IgnitionOne has taken 25,000 square feet at Tishman Speyer’s MetLife Building, The Real Deal has learned. IgnitionOne, which was recently spun off from advertising giant Dentsu, will be subleasing the 200 Park Avenue space from British bank Barclays. IgnitionOne will pay rents in the mid-$30s per square foot for space on the 27th floor, according to CompStak data. The marketer, which signed a five-year lease, is moving out of Dentsu’s New York headquarters at 32 Avenue of the Americas. JLL represented Barclays in the sublease deal, while a team from Newmark Grubb Knight Frank represented IgnitionOne, according to a source familiar with the transaction. Barclays has been looking since November — and perhaps longer — to unload around 100,000 square feet in the 3.1 million-square-foot building. It is unclear which brokers were involved. Representatives for JLL did not respond to requests for comment, while a representative for Newmark couldn’t be immediately reached. A joint venture between Tishman Speyer, the New York City Employees’ Retirement System (NYCERS) and the Teachers’ Retirement System, purchased the property from MetLife Inc. in 2005 for $1.72 billion. The building is home to some high-profile tenants, including Swiss bank UBS.